Uh-oh! 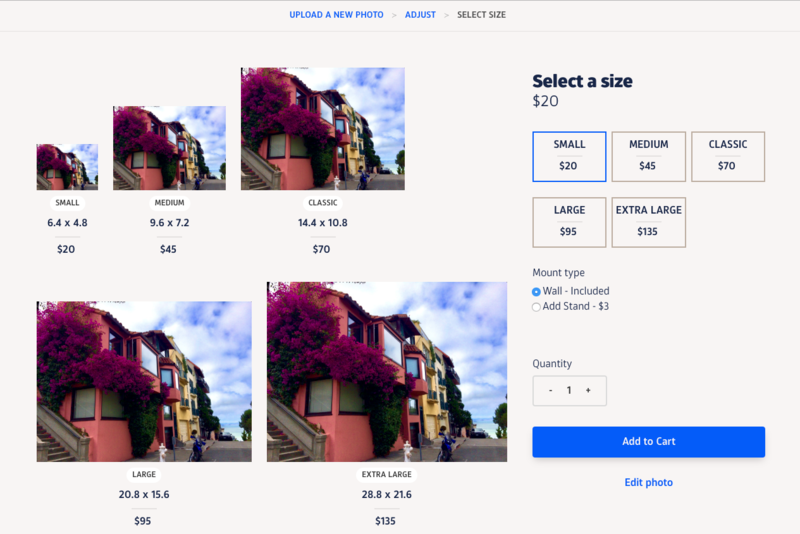 If you're seeing a red asterisk (*) warning when trying to select a size, it's because the size of your image file is under 160 dpi (smaller than what we recommend for the size you've chosen for print). In this case, we highly recommend you try to find a larger resolution file or select a smaller Fracture size. 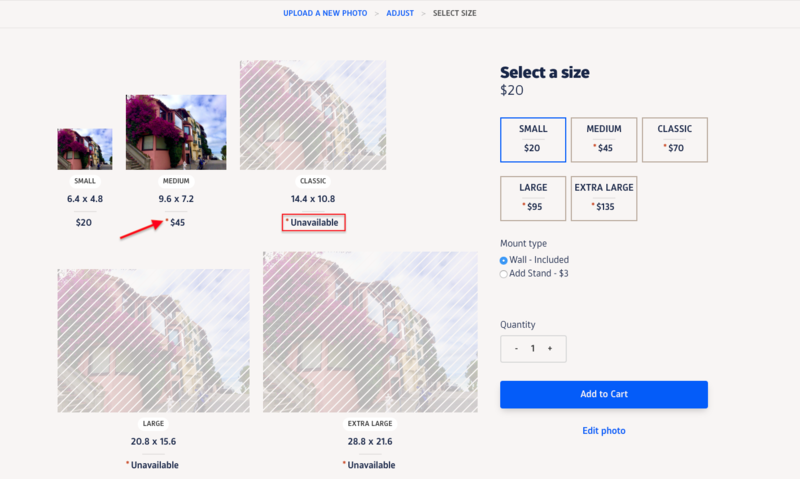 If your photo is grayed out with lines through it for certain sizes, that means those sizes are completely unavailable to order because the blur, grain, or pixelation of the file would be too severe to produce a recognizable print. The red asterisks above (*) appear on all the sizes except for the Small Rectangle, meaning this photo will not print with the best quality at that Medium size (or larger)- yikes! Just keep in mind, ordering a size with that warning will still result in a poor quality, pixelated, or blurry image. Here, we've replaced the smaller sized file with a larger original file - here you can see that there are no more red warning signs. Learn where you can find the largest, highest resolution version of your photo file here.